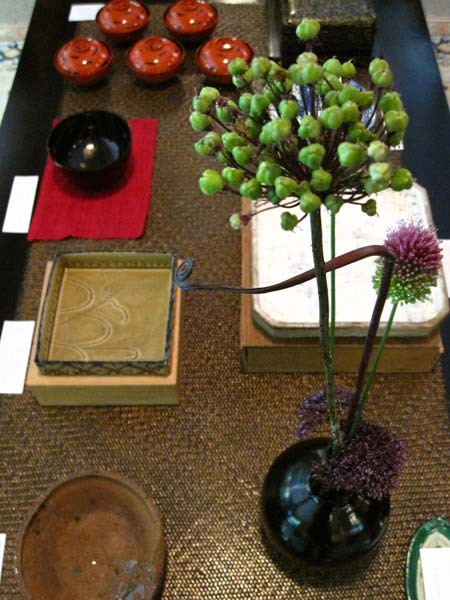 Welcome to Mizuya, bringing you unique Japanese antique, vintage and contemporary tableware and art. 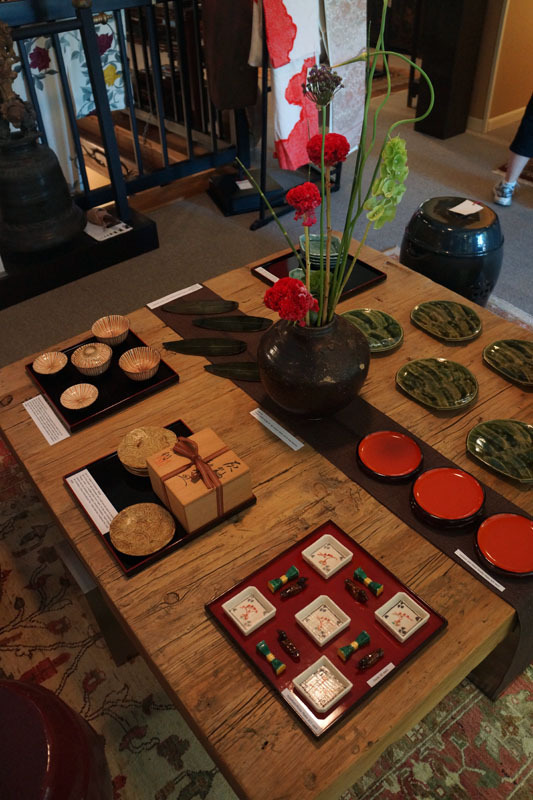 Brought to you by the founders of Savory Japan, Mizuya is dedicated to devotees of Japanese culture and cuisine, and specializes in collectible but entirely useful ceramics, lacquer and tea ware. Questions? Just contact us at info@mizuya.com. 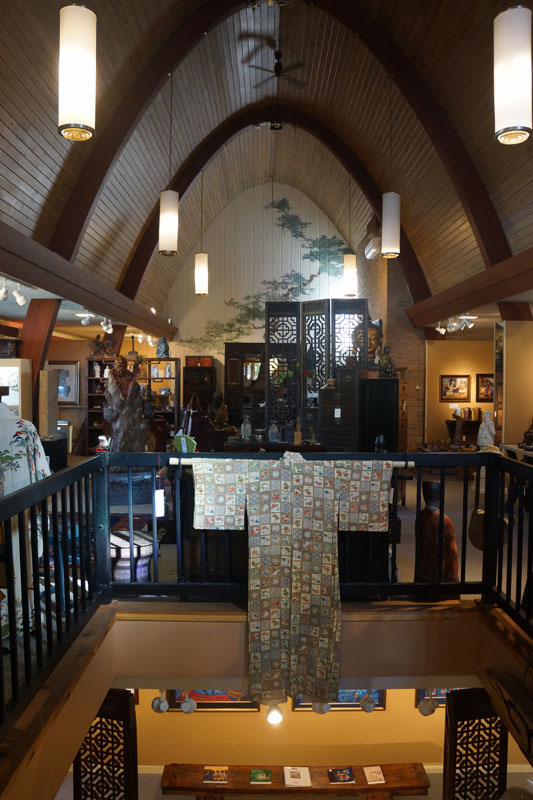 We had an event at the Linden Gallery in Door County, WI on July 20 & 21, 2013 called “Bringing Japan Home”. Perhaps you also know the feeling: After taking a fabulous trip to Japan, blowing your budget on beautiful treasures and exceeding your baggage allowance, you get it all home and somehow it still isn’t enough. Because it isn’t just about material things; it’s about lifestyle. 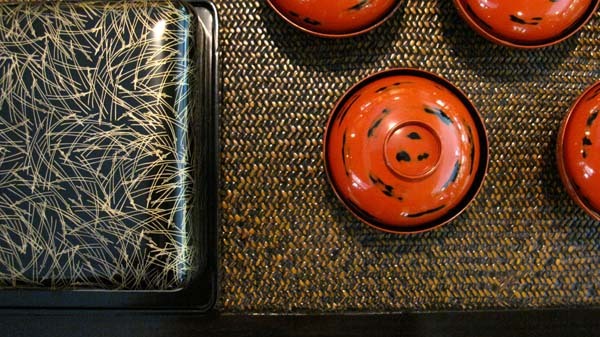 We at Mizuya believe that beautiful objects — be it a raku tea cup, oribe platter or shibori kimono — become alive when used. 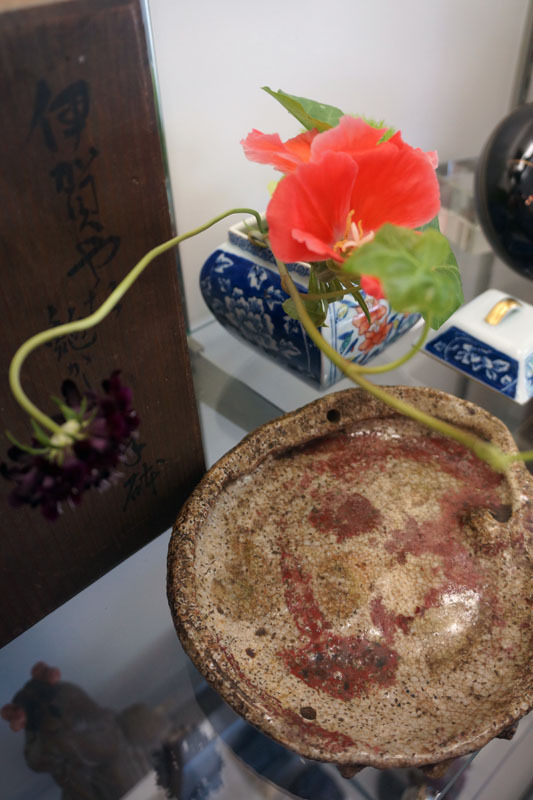 This exhibit features simple household items that can bring a little slice of Japan into your life. Here are some items from the exhibit, which will still be on display in the coming months. 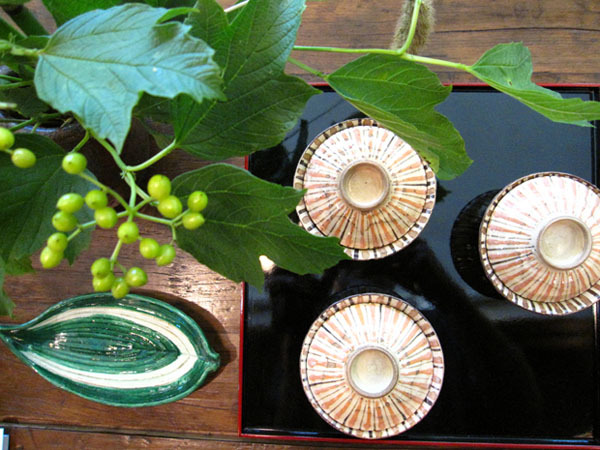 Below is an awesome Edo era iga bowl in the shape of an abalone shell. The inside is smooth and glazed, while the outside is rough — perfect for the gritty texture of iga clay. We will add this piece to Mizuya soon. Mizuya founders Risa Sekiguchi and Kirk Vuillemot were present at the Linden Gallery in Door County, Wisconsin on July 30 and 31, 2011 for a small showing of select items from Mizuya. The show has now been extended until the end of September. 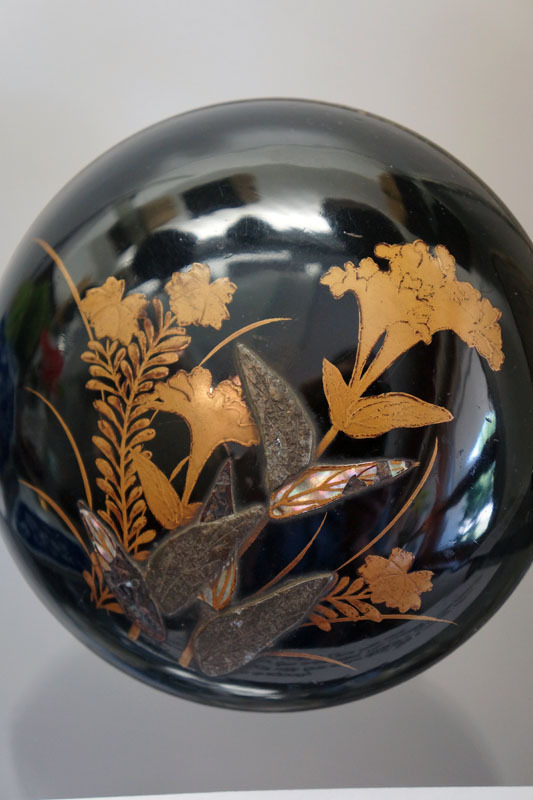 Join Linden Gallery owners Brian and Jeanee Linden at their very special gallery. 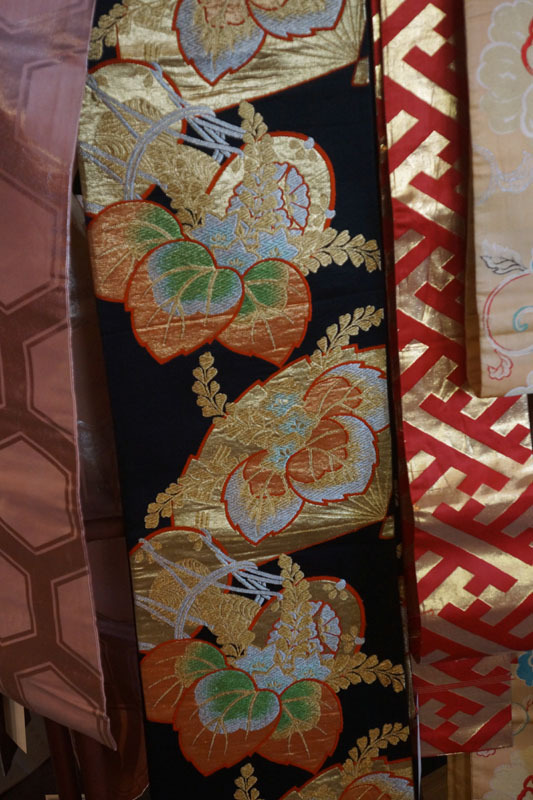 The show included not only tableware, but vintage kimono and haori as well.